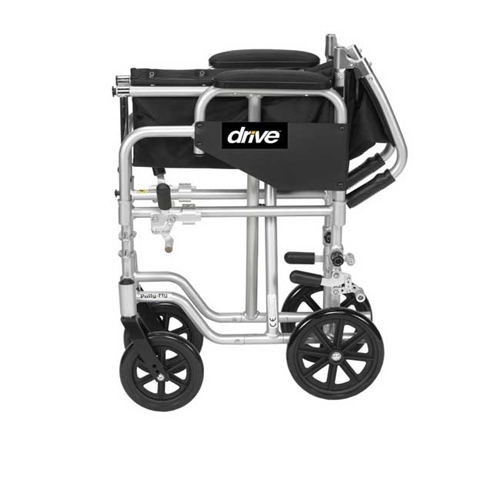 The Poly-Fly Transport Chair and Wheelchair by Drive Medical features a unique design allowing it to be used as a self-propelled manual wheelchair or a transport chair - all in one! 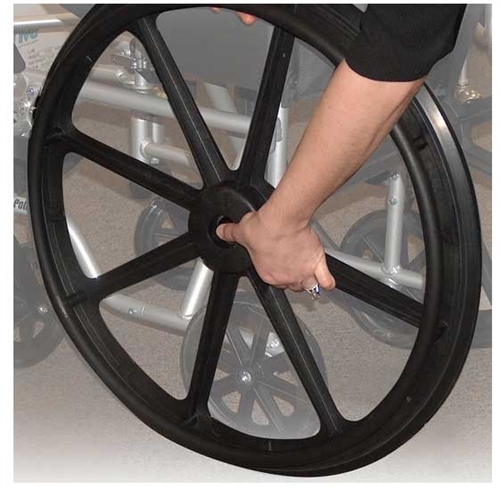 The quick-release rear 24” wheels can be easily removed to transition from a self-propelled wheelchair to a transport chair. It has a weight capacity of 250 pounds. 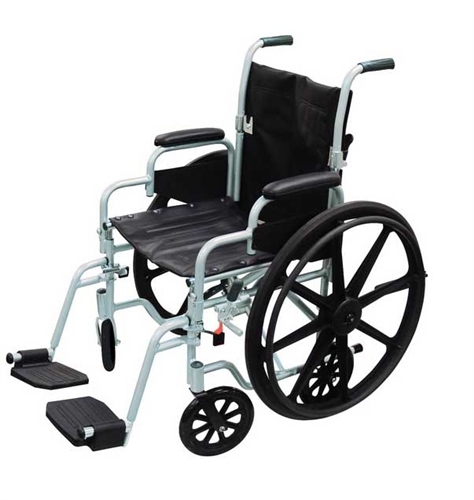 The Poly-Fly Wheelchair has a lightweight and sturdy frame made of aluminum. 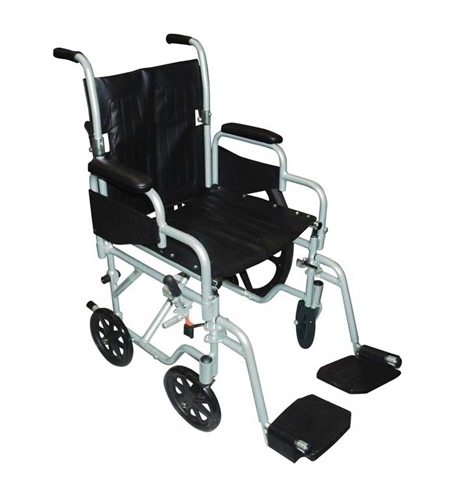 The transport chair wheels are 8” casters and It comes with two sets of wheel locks - one for use with the wheelchair and one for use with the transport chair. The upholstery is nylon. The back folds down with the deluxe back release for transport and storage. 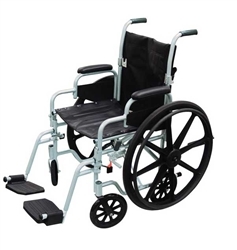 It comes with swing-away footrests with composite foot plates and heel loops. Anti-tippers are also included. 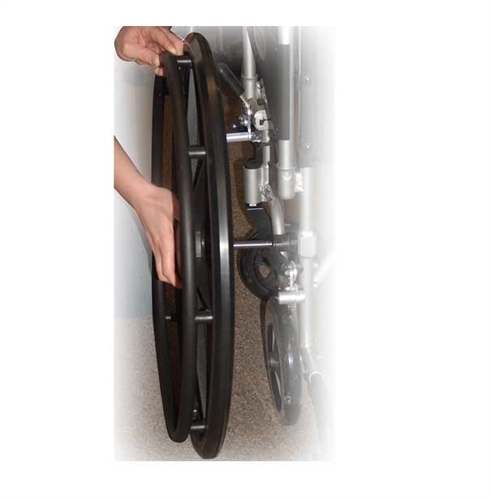 Wheel locks for both back wheel sizes - 24" and/or 8"